The QUANT e-Sportlimousine with nanoFLOWCELL® drivetrain concept has been approved by TÜV Süd in Munich for use on public roads. Nunzio La Vecchia, chief technical officer at nanoFLOWCELL AG, was handed the official registration plate with number ROD-Q-2014. After in-depth inspection by TÜV Süd this means that the vehicle with its nanoFLOWCELL® has now been officially approved for use on public roads in Germany and Europe as a whole. “This is a historic moment and a milestone not only for our company but perhaps even for the electro-mobility of the future. For the first time an automobile featuring flow-cell electric drive technology will appear on Germany's roads. Today we have put the product of 14 years’ hard development work on the road. This is a moment for us to celebrate. We are extremely proud that as a small company we have developed such visionary technology as the nanoFLOWCELL® and are now also able to put it into practice. But this is only the beginning of our journey of discovery,” is Nunzio La Vecchia’s delighted comment on this important step in the development of the company. 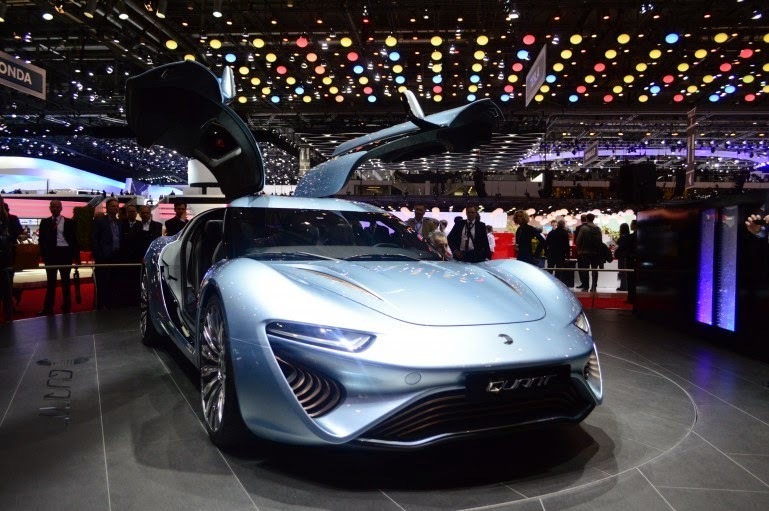 Currently the nanoFLOWCELL AG team and its partners are working at top speed on the homologation of the QUANT e-Sportlimousine with nanoFLOWCELL® for series production. 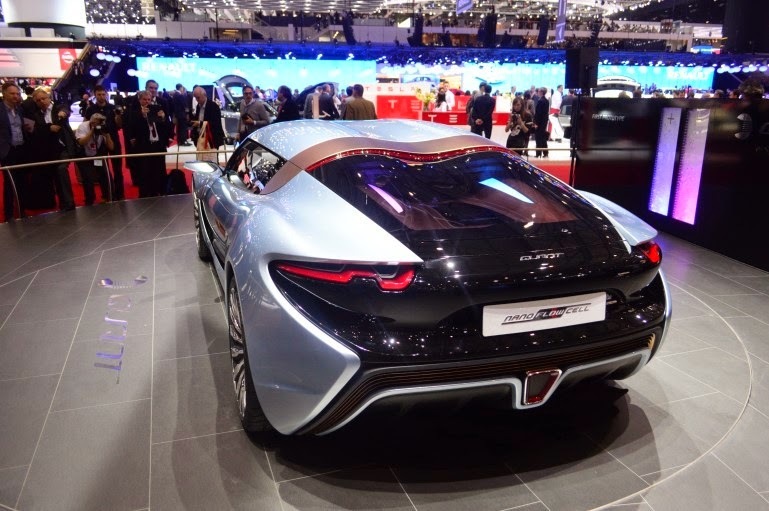 “At the car’s world premiere in Geneva a large number of investors and automobile manufacturers showed tremendous interest in the new QUANT e-Sportlimousine and the nanoFLOWCELL® drivetrain concept, together with its wide range of possible applications. Now that the automobile has been approved for use on public roads in Germany and Europe we can enter into detailed planning with our partners, adding an exciting new chapter to the future of electro-mobility,” states chief technical officer Nunzio La Vecchia, commenting on the wide interest in the innovative drive technology represented by nanoFLOWCELL AG. “The attention received by the nanoFLOWCELL® and the positive response to it has encouraged us to think about investment possibilities in the project, right up to a possible initial public offering. This would enable us to drive forward the wide range of possible applications and potential of the nanoFLOWCELL® on an international scale. Initial planning and discussions are already taking place,” Nunzio La Vecchia explains. “Here in Munich in particular, where other prestigious automobile manufacturers are advertising their electric vehicle with the slogan ‘ERSTER EINER NEUEN ZEIT’ (‘FIRST IN A NEW AGE’) or ‘THE MOST PROGRESSIVE SPORTS CAR’, we are delighted as pioneers to be able to present an automobile driven by flow cell technology on public roads, and one which achieves not only fantastic performance values but also zero emissions. With a projected top speed of over 350 km/h, acceleration from 0-100 in 2.8 seconds, a torque of four times 2,900 NM, a length of over 5.25 m and a range of more than 600 km the four-seater QUANT e-Sportlimousine is not only a highly competitive sports car but also SEINER ZEIT VORAUS – UND ZWAR SCHON HEUTE (‘WELL AHEAD OF ITS TIME – IN FACT TODAY’),” is how technical manager Nunzio La Vecchia assesses the future possibilities of the QUANT e-Sportlimousine, with a reference to other cars produced by German automobile manufacturers in Bavaria. 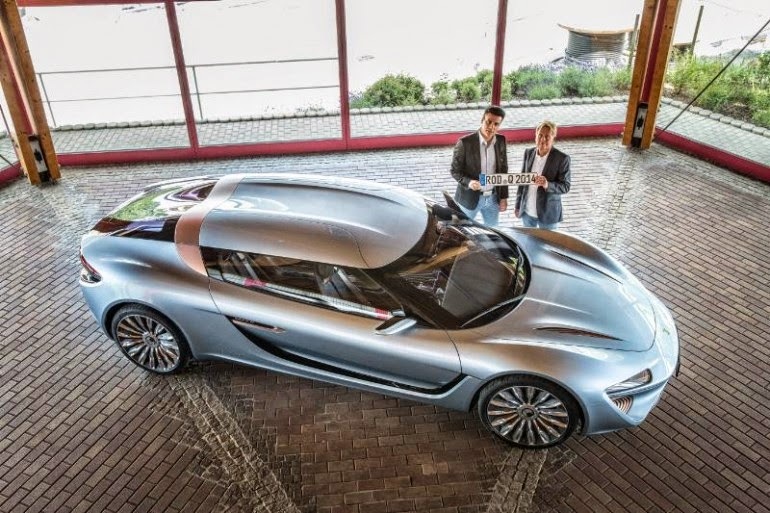 “Approval of the QUANT e-Sportlimousine with the nanoFLOWCELL® drivetrain concept is a vital step forward for nanoFLOWCELL AG. What began as the vision of Nunzio La Vecchia has now become reality. 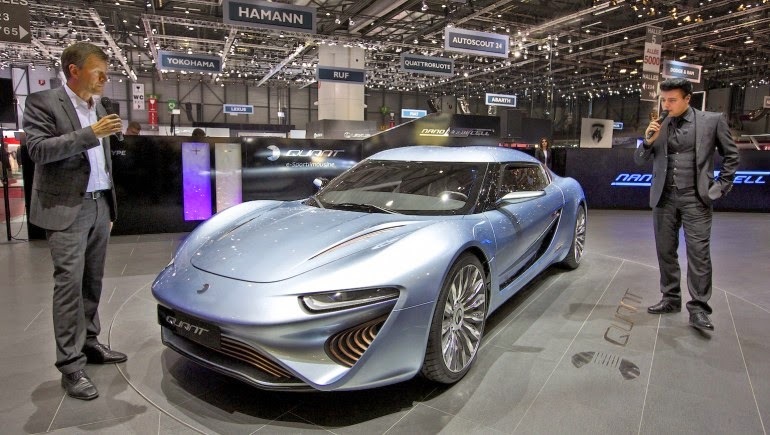 The fact that only four months after the car's world premiere in Geneva we have received approval for the use of the QUANT e-Sportlimousine with nanoFLOWCELL® drivetrain concept on the road in Germany and in Europe indicates the dynamism with which our entire team is working on this project. And we are very much looking forward to the next stages of this exciting and promising journey,” states Prof. Jens-Peter Ellermann, chairman of the board of directors at nanoFLOWCELL AG. “We've got major plans, and not just within the automobile industry. The potential of the nanoFLOWCELL® is much greater, especially in terms of domestic energy supplies as well as in maritime, rail and aviation technology. The nanoFLOWCELL® offers a wide range of applications as a sustainable, low cost and environmentally-friendly source of energy,” is how Prof. Jens Ellermann describes the diversity of potential uses for the nanoFLOWCELL®.